Have you ever had a dish that you crave and love to eat, but know you shouldn’t eat it? I hate when that happens. For those of you that follow my blog you know I enjoy going to Whole Foods Market. Oftentimes, during the afternoon when I’m running around I’ll go there to pick up lunch. A favorite is their Sonoma Chicken Salad, although if I purchase any, it’s a small amount. Why? Typically chicken and tuna salads purchased in stores or restaurants are high in fat. They almost always use full fat mayonnaise and oftentimes combined with full fat sour cream. I mean, what’s not to love? Let’s face it, fat tastes good and flavorful but it’s not so great for the heart, cholesterol and our waistlines. Yet, I broke down this weekend and bought a small container of their Sonoma Chicken Salad. 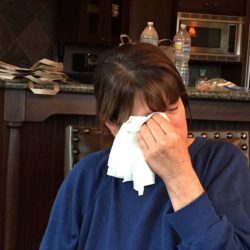 However, before I had a chance to eat much, my family tried it. 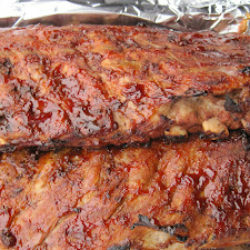 Of course, they loved it as well, leaving me only a bite – which was fine, since I didn’t want to over indulge. That’s when I decided to make a fat free or low fat version for myself. Scouring the internet I found Whole Foods recipe for Sonoma Chicken Salad. I knew this was it since the ingredient list matched what was on my container. With recipe in hand, I duplicated it, substituting Fat Free Miracle Whip. Quite frankly, I couldn’t tell the difference. (Of course feel free to use full fat mayo, light mayo, canola mayo, full fat or light which I enjoy or fat free mayo). I was in heaven and apparently so was my husband since he ate almost the entire bowl. 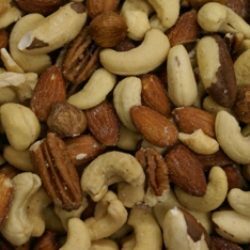 You are aware, that’s the drawback of eating fat free? Less fat doesn’t fill you up or satisfy you as much as full or low fat – which often means eating more of the dish. In turn, you often consume more calories than if you’d eaten full fat. That said, portion control can be an issue and has to be maintained. This Sonoma Chicken Salad is the perfect spring dish. Great for a women’s luncheon, bridal, wedding or baby shower, outdoor lunch on the terrace, afternoon brunch or even for dinner like we had this evening. Served with fresh fruit, popovers or muffins, ice cold lemonade or iced tea and you’ve got a perfect meal. Then top it off with some smooth homemade Mango Sorbet – which I’ll be posting later this week. From now on I’ll be making this weekly to keep on hand, and I’m sure you will as well once you try it! I won’t keep you in suspense any longer – here’s the recipe the way I made it. 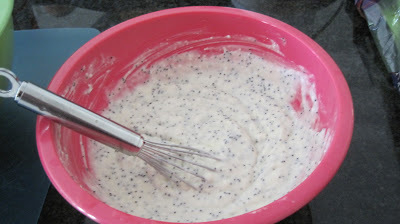 In a bowl, combine mayonnaise, vinegar, honey, poppy seeds, salt and pepper. Refrigerate until ready to dress the salad. This can be prepared up to 2 days ahead. Preheat oven to 375°F. Place the chicken breasts in one layer in a baking dish with 1/2 cup water. Cover with foil and bake 25 minutes until completely cooked through. 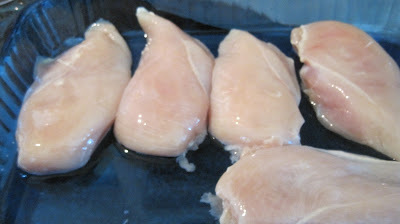 Remove cooked chicken breasts from pan, cool at room temperature for 10 minutes, then cover and refrigerate. When the chicken is cold, dice into bite-size chunks and transfer to a large bowl. 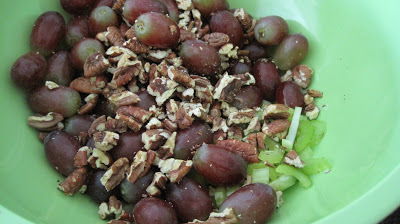 Stir in pecans, grapes, celery and dressing. Serve with fresh fruit, popovers or muffins and a tall glass of iced tea or lemonade. Follow with my luscious smooth Mango Sorbet that I’ll be posting later this week. So please come back to check that out. This sounds so good for a Spring dinner. It was Loretta and so easy to make. Hope you’re doing well. Haven’t heard from you in ages. I love the texture and color contrast of your dish ! I’m sure it tastes scrumptious as it look ! Absolutely love salads and this one sounds perfect for this weather! This salad is so good. The dressing is a poppy seed dressing. I could see adding some dried fruit to it as well. If you don’t like pecans add something else. I too love their chicken salad and often think that it’s a very good thing that I live an hour from Whole Foods or my waist would be bigger and my wallet would be empty! Jen now you can make it yourself for a fraction of the price and calories! Vicki, I was at WFM today getting some deli meat and I checked out their Sonoma Chicken Salad. You could give them quite a run for their money – your’s looks WAY better than theirs! And I love that you made it so healthy too, thanks! I love the elegance of this chicken recipe Perfect for my diet! You. Are. A. Genius! 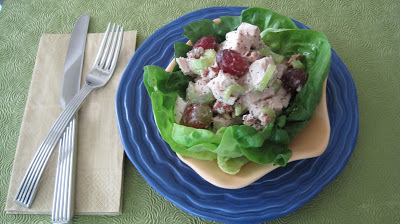 I love this chicken salad and it’s terrific that you recreated it! Thank you times a zillion! Ann you’re funny. I’m no genius but thank you for the compliment. This is such a delicious salad and healthy that it can be on anyones diet. I think it would be great with slivered almonds as well. I hope you’ll try it! I know what you mean about that tasty chicken filling! 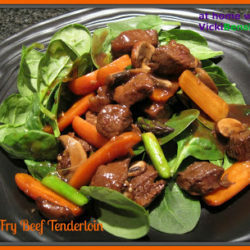 This sounds great using lower fat ingredients and still satisfying! :)Thanks for sharing your recipe Vicki! 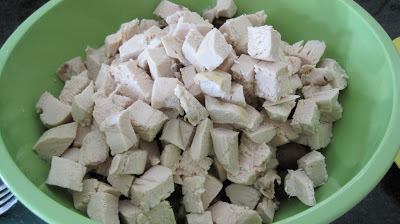 I love to make chicken salad but never thought of using these ingredients – thanks!! I always study the ingredient list of those salads when I’m visiting the WF’s deli counter 🙂 I’m loving this chicken salad…the dressing sounds incredible!!! Lizzy many of their prepared foods recipes can be found online or in their cookbook. When I find one I love I search it out and then tweek it the way I want oftentimes reducing the calories or removing an ingredient I’m not fond of. This dressing is a Poppy Seed dressing and of course can be modified to appeal to your diet by changing the type of mayo you use. Good recipe – and easy. I like the Whole Food’s Sonoma Chicken Salad, so I’ll have to give this a try. And the fat vs. nonfat thing can be tough, as you point out – fat does a great job of calming hunger, so often you eat smaller portions of full fat. But not always, which is the problem! Anyway, good post – thanks. Biren I forgot about the veganaise mayo and soy mayo which would also work with this recipe. Thanks for sharing that. I love Sonoma chicken salad and yours looks perfect, Vicki! What a fabulous array of ingredients and a delicious result. I’ll have to try it for myself sometime! This chicken salad looks amazing! Very often we eat chicken salad for dinner. I would love that with chilled iced tea. Georgia and Asmita – I hope you try this wonderful chicken salad. I think it’s perfect for lunch or dinner. I’ve already made another batch today to have on hand for the weekend! It was that easy to make. oh thats a new salad to me, at least the name sounds new. I am going to make that the next days, thanks for sharing! This looks delicious! I love making chicken salad in the spring/summer – especially when I can add fresh tarragon from my herb pots. The dressing sound wonderful!